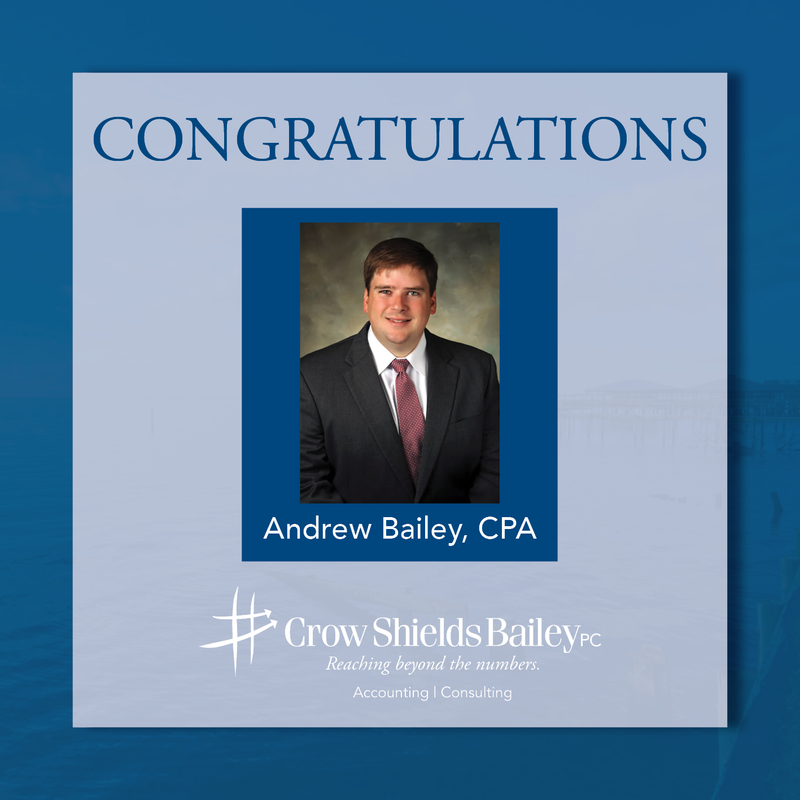 Congratulations to Crow Shields Bailey team members, Hope Hickman, Andrew Bailey and Kirsten Sokom, who received promotions. Learn more about their new positions and areas of expertise below. Hope Hickman has been promoted to manager. 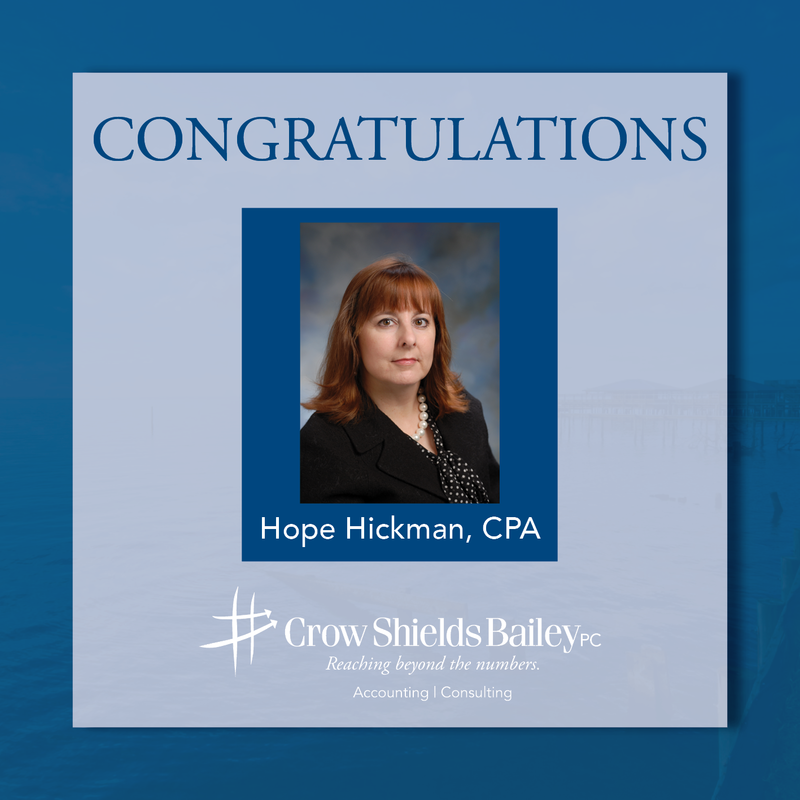 As a part of our audit team, her areas of expertise include QuickBooks, employee benefit plans, construction contractors, retail, wholesale, and condominium associations. Andrew Bailey has been promoted to supervisor. 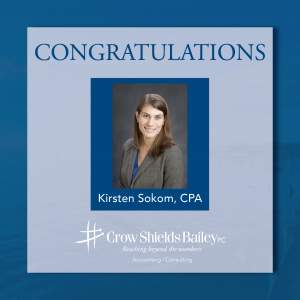 As a part of our tax team, his areas of expertise include high net-worth individuals; closely-held businesses and family limited partnerships; estate, trust, and gift taxation and planning; and business valuations. 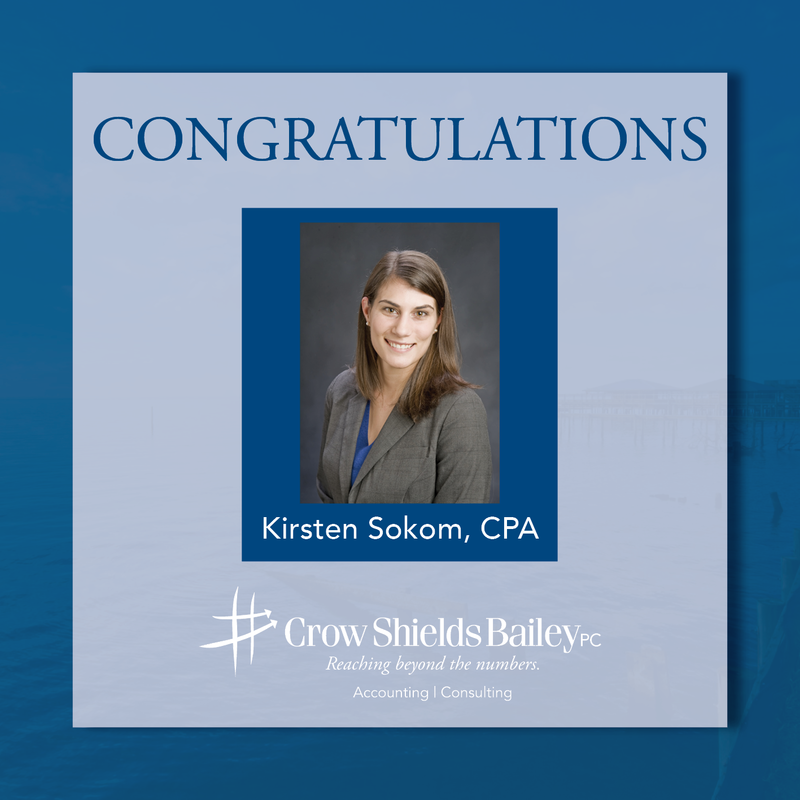 Kirsten Sokom has also been promoted to supervisor. 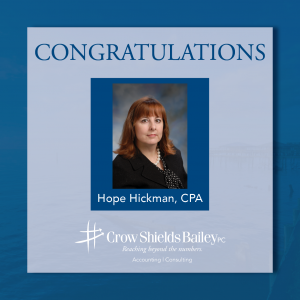 As a part of our audit team, her areas of expertise include auditing of employee benefit plans; contractors; municipalities; not-for-profits; multi-state distributors; professional employer organizations; accounting for condominium and homeowner associations; and individual, partnership, and corporate taxation.